Merck KGaA and Pfizer’s cancer immunotherapy Bavencio has disappointed in a hard to treat late-stage gastric cancer trial, failing to extend survival compared to chemotherapy. The result is a blow to the companies’ hopes for the drug as it vies for market share against rival checkpoint inhibitors such as Merck & Co’s Keytruda and Bristol-Myers Squibb’s Opdivo. 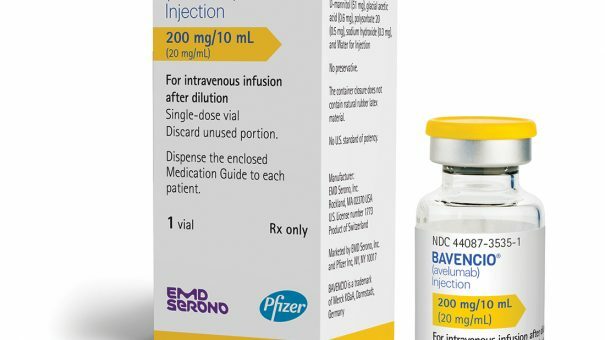 US Merck already has Keytruda approved in the third-line gastric cancer indication – but German Merck and Pfizer had set the bar higher in this trial, which compared Bavencio to chemotherapy. Keytruda was approved on the basis of early data from a single-arm study in this third-line indication. This is the latest in a string of failures from trials involving checkpoint inhibitors, which can either inhibit the PD-1 receptor as is the case with Keytruda and Opdivo, or the PD-L1 ligand as is the case with Bavencio. While immunotherapies have produced some impressive improvements compared to chemo, numerous surprises this year demonstrate that their superiority to all existing regimens is far from a foregone conclusion. The companies are also waiting on results from the JAVELIN Gastric 100 study, as a first-line switch maintenance therapy – when the drug is used to maintain a response after an initial round of chemotherapy. Merck and Pfizer’s JAVELIN Gastric 300 trial investigated Bavencio as a third-line treatment for unresectable, recurrent or metastatic gastric or gastroesophageal junction (GEJ) adenocarcinoma patients whose disease progressed following two prior therapeutic regimens, regardless of programmed death ligand-1 (PD-L1) expression. The randomised controlled trial enrolled 371 patients from 147 sites in Asia, Australia, Europe, North America and South America. Patients either received Bavencio plus best supportive care versus physician’s choice of protocol-specified chemotherapy (paclitaxel or irinotecan monotherapy) plus best supportive care. The primary endpoint was overall survival. There were no new safety signals, and further details will be published at an upcoming medical congress.